Here is what kept me busy this summer- prepping for a new addition to our family! For the last 9 months I have held a secret from you and it is now time to share that little secret! We welcomed our li’l princess into our home a few days ago and we feel truly blessed! It has been a journey of sorts doing this all over again after 12 years – that’s right! Our older one is 12! Taking a second stint at parenting after a super long gap, defying societal stereotypes in the process has been a unique experience to say the least. Sleep deprivation and diaper fiascos were a thing of the past. We were in cruise control parenting mode and now, it starts all over again! My personal journey of pursuing a higher education, a meaningful career, discovering myself and mothering a second child close to 40 has been nothing short of an adventure - one that I have embraced whole heartedly in spite of the struggles! I am loving every minute of it – despite the exhaustion! Baby A has all of us wrapped around her li’l fingers! A medley of pastels to start us off! 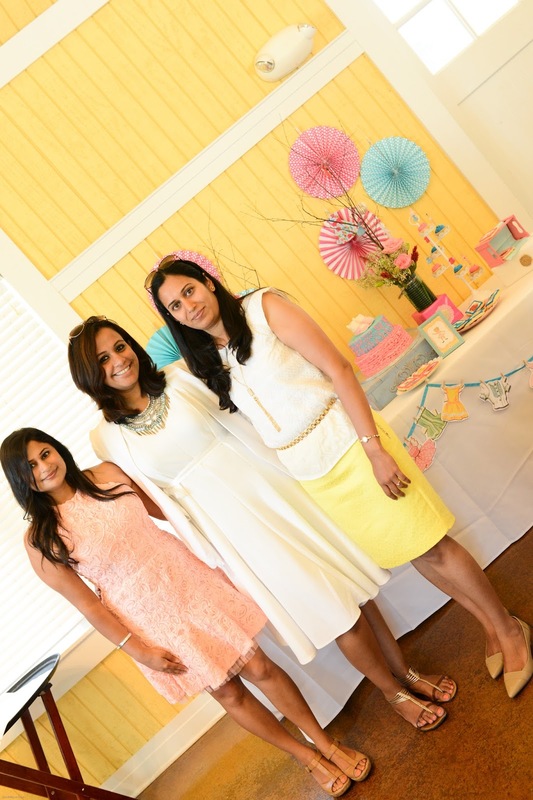 We celebrated this joyous event in our life with an intimate celebration this summer and I bring you images from the baby shower in this post. At Aalayam, we take pride in our parties and this one was no different! Custom made goody bags - shabby chic paper doll all the way! Every detail was well thought out and I hope you enjoy this recap. I am doing a two part –to showcase both the American and Indian versions of the shower. So, join me this week and next as I look back fondly at both the celebrations. A big shout out to all my girl friends that helped to put the events together and indulged mama-to-be! These girls know how to run a show! Supriya and a few other friends flew in to celebrate my little girl and it meant the world to me. My girlfriends and my two boys left no stone unturned in making this event one of the best days of my pregnancy! The hosts- my dear friends Supriya, Ruchika and Shilpa graciously indulged me and allowed me to have my say and customize the theme and the décor. 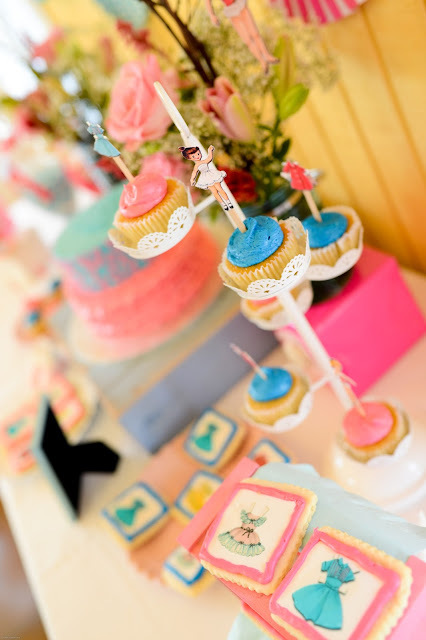 Cookies and cupcakes- all dolled up! You know my penchant for all things décor! I have always enjoyed styling personal events at home. What fun it was too- trading ideas and brainstorming with this enthusiastic team of girls to style the shower! I am truly grateful for their time, effort and energy and for making it such a special occasion for my entire family. I had an amazing time! Game stations - let the party begin! I fell in love with the location, the minute I saw it. 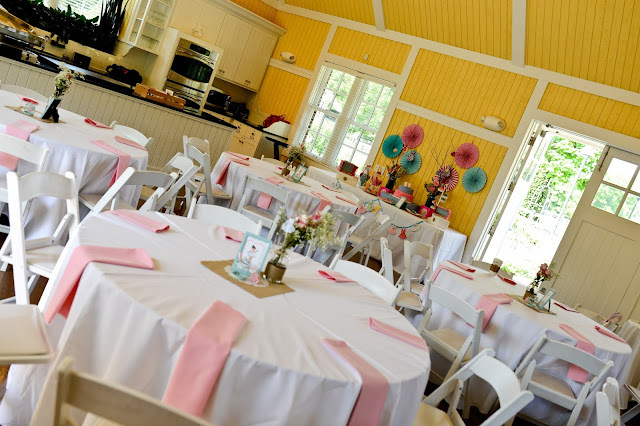 The local conservatory had a great indoor-outdoor space that was ideal to host an intimate group of friends for a summer shower. 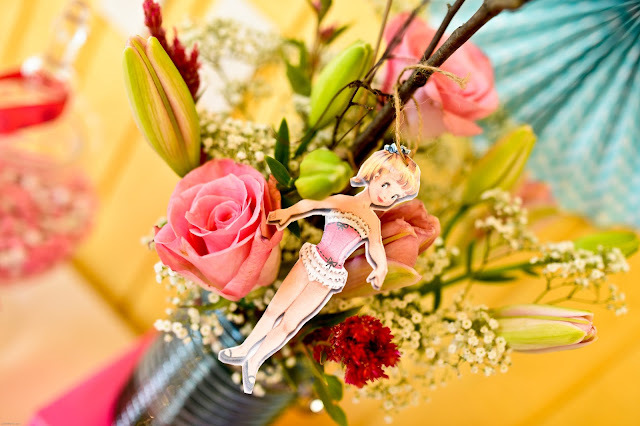 The event coordinators at the location worked with me patiently as we arranged the space to fit our theme – shabby chic paper doll. and 'coz li'l girls fancy a touch of pink! 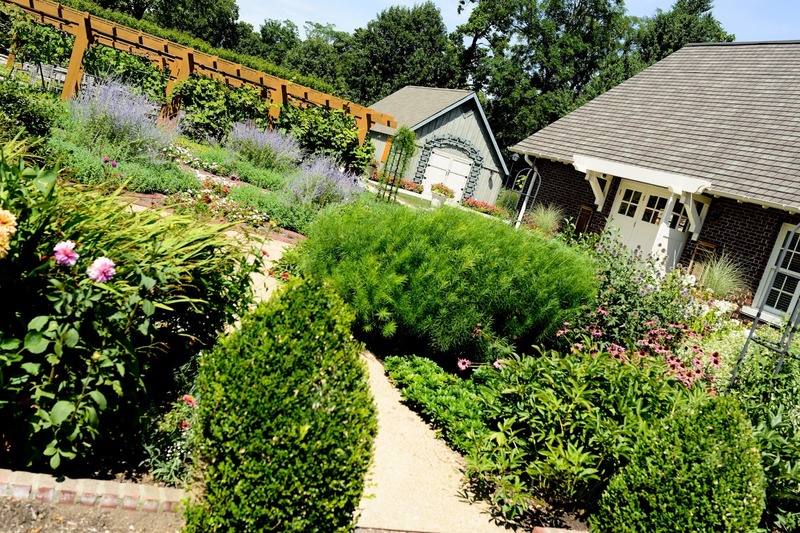 The venue enhanced the décor with its great outdoor areas and gardens. Leading up to the event, we had a few themes in the running – Alice in wonderland, vintage alphabet and shabby chic paper doll. In the end, fun and feminine won and “shabby chic paper doll” was a perfect way to welcome my sweet bebe into this world! 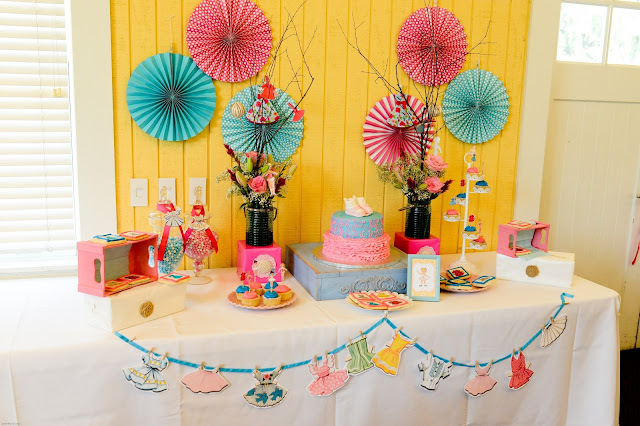 Etsy was a great place to find printable templates for the party and the rest came from local craft stores. But mind you, not everything came from the stores. My friend Shlipa put in tons of DIY time customizing the goody bags, the cupcake toppers and other details. 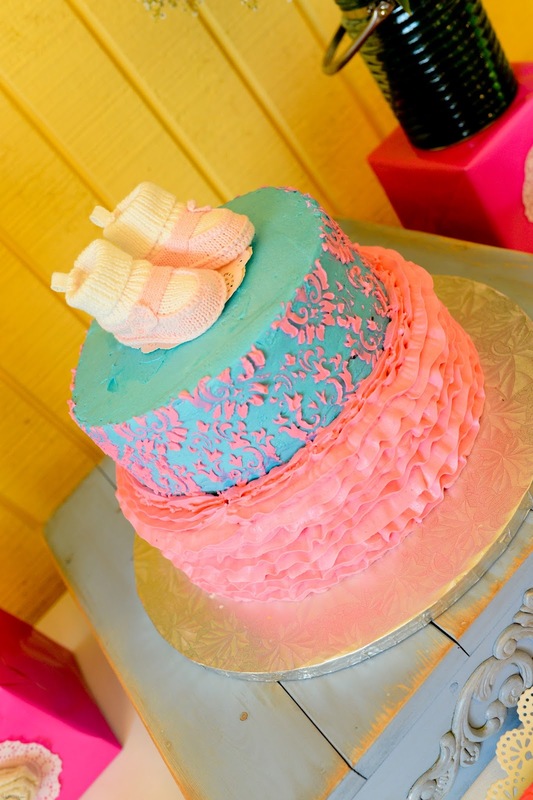 We intentionally mixed in some vintage blue with shades of pink and white for a non-traditional color scheme for a baby girl. As Supriya pointed out we were getting away from gender stereotyping. After all, nothing about this pregnancy thus far fit into any stereotype and we wanted the shower to reflect that. A li'l pink and a li'l blue - no gender stereotyping here! The dessert table was a fabulous display of white, pink, and blue and housed our gorgeous cake (with the damask and ruffle detail) elegantly. 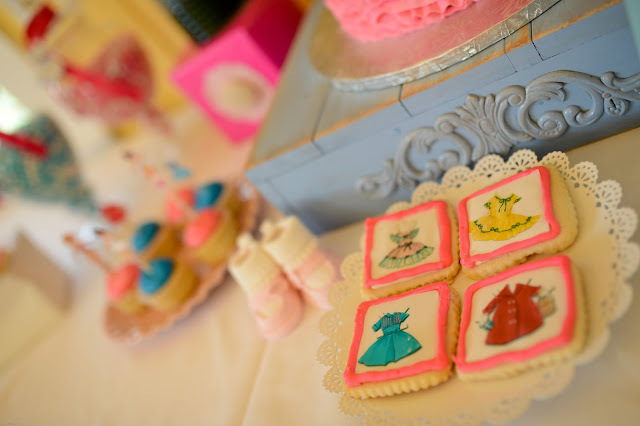 Marie from Fate Cakes went all out to create my custom doll dress cookies, cupcakes and the two-tiered cake enabling us to put together this perfect dessert table. As an extension of the color theme, the girls were told to dress up in pastels too! Don’t you love our gorgeous palette? And here's one with momma-to-be! 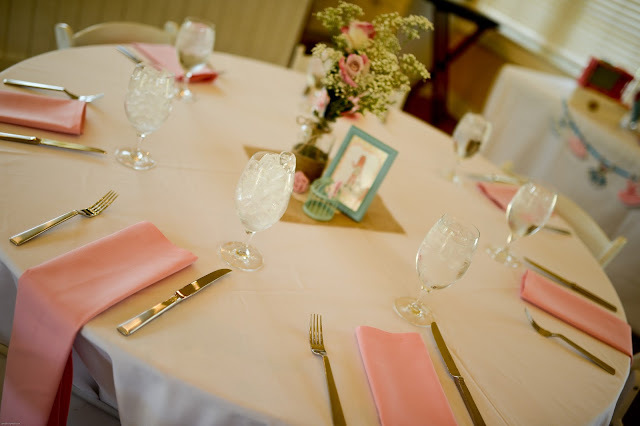 The lunch tables were a picture of style and elegance – dressed in baby pink linen and shabby chic décor pieces. 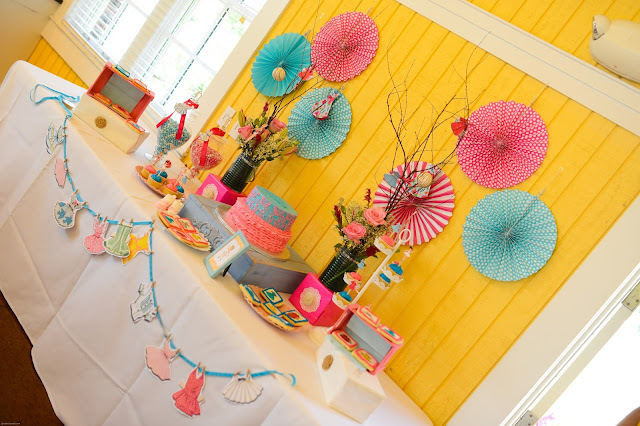 The colors and theme flowed subtly through the space and everything came together beautifully. 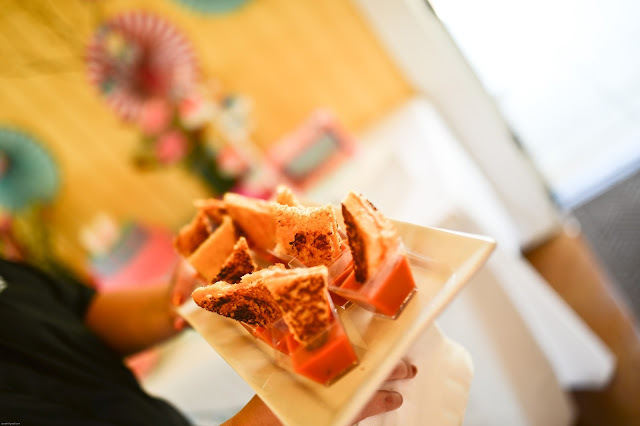 The caterers at the conservatory did a marvelous job of cooking the menu to perfection with fresh homegrown ingredients. We played up the festivities with lively music and lots of fun games. Thanks again to my gorgeous hosts for thinking through every detail. The rustic outdoor tables and the string of globe lights was the perfect blank canvas to host the games- cake boss (where teams were asked to make diaper cakes), pin the pacifier on the paper doll, guess the number of baby items and drink from a baby bottle were some of the games that amped up the fun factor that afternoon. As I look through the guest book now, I am nostalgically reminded of how much I loved that afternoon. I cannot wait to share these pictures with my little girl one day! In the meanwhile, I am sharing it with you – my dear Aalayam family. Next up, the Indian equivalent of a baby shower or bale shastra (bangle ceremony). Join me again in a few days as we take a look at the symbolism and visual splendor of the Indian ceremony and as always, I will sign off for now with one more image of this dreamy dessert table ! p.s: All images in this post were shot by my husband and may not be reproduced without permission! Gorgeous pictures! Wish your little one the very best.. Thank you christine. It was really nice of deepti to come and celebrate with us. thanks also for reading Aalayam. Tremendous effort by you and your girl friends, Deepa, and the result is fabulous and creative. Loved the pastel combo against the bright yellow wall panel. Lot of thoughts went in to this. Detailing is superb and should be on a decor magazine. Baby Amyra will surely cherish the love and welcome given. Congratulations !! Thank you Roopa. I enjoyed working on this. Of course, some might consider it tacky to work on your own shower ;) but my girlfriends took over when needed and let me handle the decor bits- which was so awesome. What a creative high this was. Thank you for reading Aalayam. 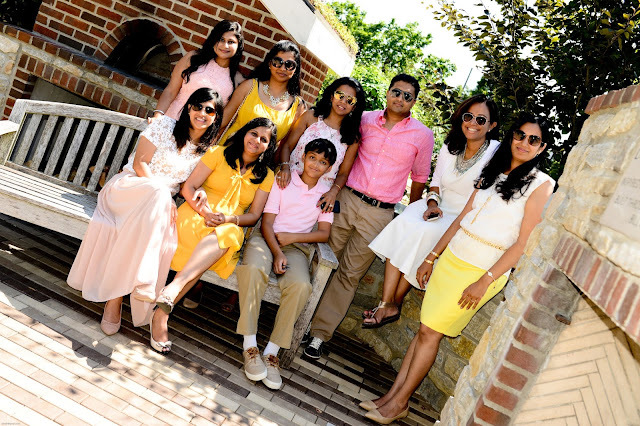 Thank you Radhika...once I crossed the conflicts and dilemmas surrounding an advanced age pregnancy and the wide age gap between my two kids, I've had nothing but fun! It took us atleast 3 weeks to put everything together- but i had so much help, it was fun!! This is such great news:) Congrats to you and your family on the arrival of the little princess. Indeed, i will forever cherish the awesome time I had at the shower! Hearty Congrats, and such lovely pictures. Such a beautifully organized partyy to herald the birth of the new one. God bless you! Wow! Congratulations on your little bundle of joy! ..aaannnd such lovely pics...truly conveys that you guys had real fun.Cheers to your friends who made this baby shower memorable for you .Great! Take care Deepa.